Last week, President Obama spoke about the ways the Affordable Care Act is positively impacting the health and lives of women and their families. 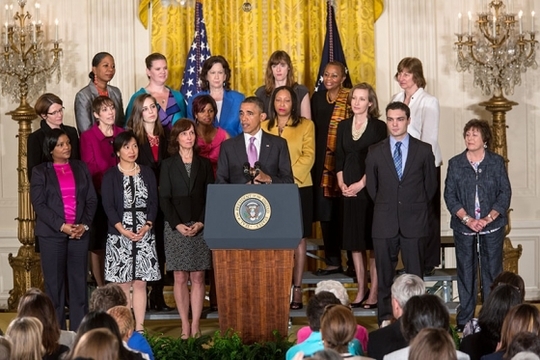 You can read more about the President’s commitment to health care for women in his 2013 proclamation for National Women’s Health Week. Over the weekend, First Lady Michelle Obama delivered the Commencement Address at Eastern Kentucky University, and earlier this week, Director of the White House Domestic Policy Council, Cecilia Muñoz, met with a coalition of mothers and children who use their voices to speak out about the importance of high-quality, early education. You can get more information and tools on National Women’s Health Week here and you can follow on Twitter using #NWHW. Since our Nation’s founding, women have given their all to expanding opportunity for their families and for future generations. Decade after decade, that fierce dedication has been rewarded with remarkable progress in nearly every part of society; yet all too often, advances in women’s health and well-being have lagged behind. During National Women’s Health Week, we recommit to changing that reality and increasing access to health services that help women and girls get the care they need. Three years ago, I signed the Affordable Care Act — reform that brought about a new era of equality in health care and gave women unprecedented control over their health. Under the law, women will no longer face higher insurance premiums because of their gender. It will be illegal for insurers to deny coverage due to pre-existing conditions like pregnancy or cancer. Already, 47 million women have gained access to preventive services at no out-of-pocket cost, including well-woman visits, domestic violence screenings and counseling, and contraceptive care. And millions more are benefitting from improved prescription drug coverage under Medicare that helps seniors get the medication they need at prices they can afford. These changes are making a real difference for families in every part of our country. Thanks to the Affordable Care Act, working mothers no longer have to choose between getting essential care and paying their bills. Women no longer have to delay mammograms just because money is tight. And young people can stay on their parent’s health insurance until age 26, so they no longer have to worry about how to afford health care when they are just starting out. I encourage women of all ages to visit www.WomensHealth.gov, www.GirlsHealth.gov, and www.HealthCare.gov to learn more about resources available to them, including the new Health Insurance Marketplace. 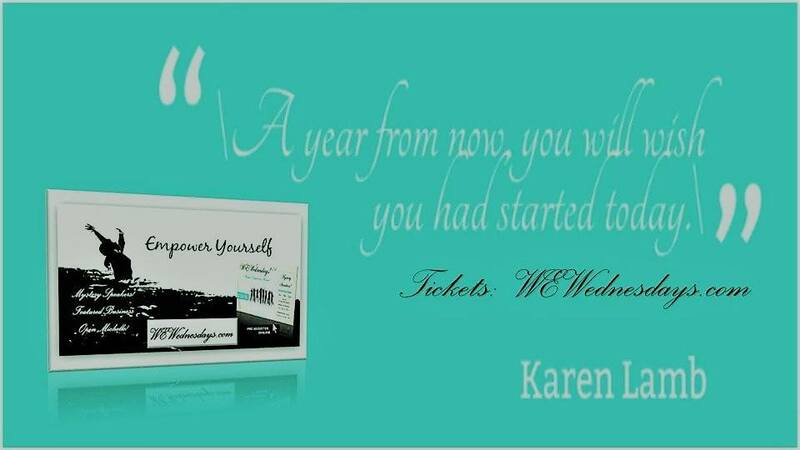 NOW, THEREFORE, I, BARACK OBAMA, President of the United States of America, by virtue of the authority vested in me by the Constitution and the laws of the United States, do hereby proclaim May 12 through May 18, 2013, as National Women’s Health Week. I encourage all Americans to celebrate the progress we have made in protecting women’s health and to promote awareness, prevention, and educational activities that improve the health of all women. 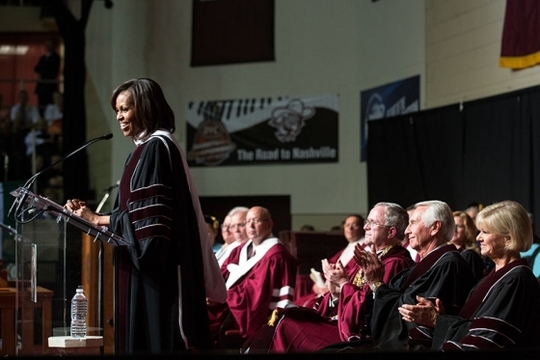 First Lady Michelle Obama celebrated a new class of graduates from Eastern Kentucky University. At Eastern Kentucky, the students were part of a community committed to public service — and in the past year, the seniors and their classmates put in more than 107,000 hours of volunteer work. And Mrs. Obama told the Class of 2013 that they needed to maintain that commitment as graduates. You can read the full text of the First Lady’s remarks here. 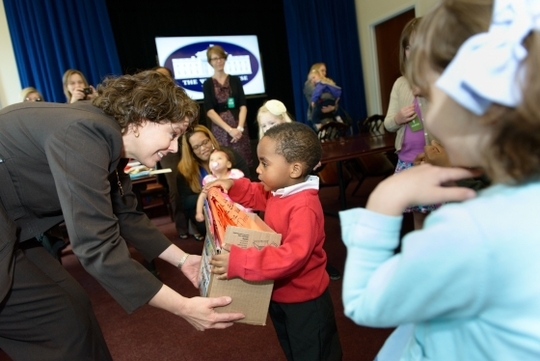 During his State of the Union address in February, President Obama called on Congress to expand access to high-quality preschool to every four-year old in America. This week Cecilia Muñoz met with mothers, leaders, and tireless advocates that understand that the best investment we can make as a country is in our children’s future. You can read Cecilia’s full post here. If you received this email from a friend or colleague and aren’t already receiving our email updates, sign up for our newsletter using this form. We would like to send you updates and engage with you in other ways. Please fill out this contact form if you are interested.